The physician-patient relationship is a foundation of clinical care. Physician-patient relationships can have profound positive and negative implications on clinical care. Ultimately, the overarching goal of the physician-patient relationship is to improve patient health outcomes and their medical care. Stronger physician-patient relationships are correlated with improved patient outcomes. As the relationship between physicians and patients becomes more important, it is essential to understand the factors that influence this relationship. Throughout history there has been much debate regarding the “ideal” physician-patient relationship. In 1992, Ezekiel and Linda Emanuel proposed four models for the physician-patient relationship: the paternalistic model, the interpretive model, the deliberative model, and the informative model. (Fig. 1) These models differ based on their understanding of four key principles: the goals of physician-patient interactions, the physician’s obligations, the role of patient values, and the concept of patient autonomy. Although there are several factors that influence physician-patient relationships, the dynamic shared and sense of trust between physicians and patients are two critical components to their overall relationship. Trust is a fundamental characteristic of the physician-patient relationship. Patients must trust that their physicians will work in their best interests to achieve optimal health outcomes. Patients’ trust in their physicians has been demonstrated to be more important than treatment satisfactionin predictions of patient adherence to recommendations and their overall satisfaction with care.iStudies have also shown that trust is additionally a strong predictor of a patient continuing with their provider.iiTrust extends to many different aspects of the physician-relationships including, but not limited to: physicians’ willingness to listen to patients, patients’ believing that physicians value patient autonomy and ability to make informed decisions, and patients feeling comfortable enough to express and engage in dialogue related to their health concerns. The idea of viewing physician-patient relationships as a core element of quality health care is not something new, however understanding and assessing the factors that influence this relationship is just beginning. 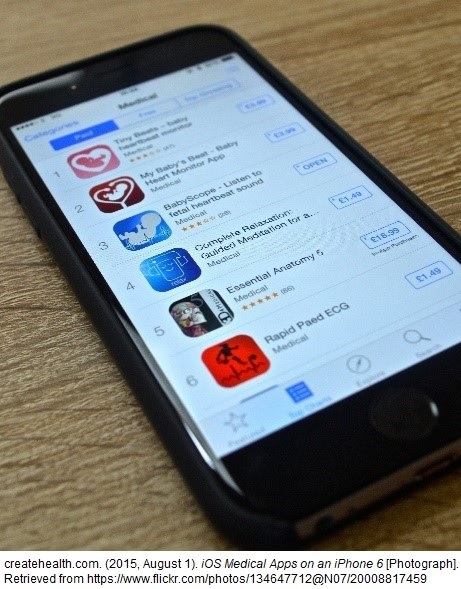 Effective physician-patient communication has been shown to positively influence health outcomes by increasing patient satisfaction, leading to greater patient understanding of health problems and treatments available, contributing to better adherence to treatment plans, and providing support and reassurance to patients. Collaborative decision making enables physicians and patients to work as partners in order to achieve a mutual health goal. Trust within all areas of the physician-patient relationship is a critical factor that influences communication between both parties. As health care transforms into a more personalized and patient-centered model, the physician-patient relationship will significantly shape health outcomes. 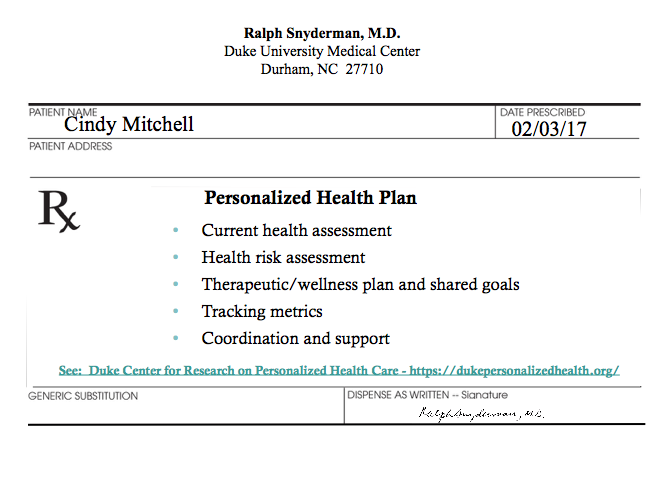 The personalized health care model encourages collaboration among physicians and patients in order to create shared health goals and the cultivation of a health plan to address identified problems. By understanding the factors that influence patient-physician relationships, in the future, health care providers will be able to address some of the barriers that prevent the adoption of more personalized approaches to health care. iiiHa, J. F., & Longnecker, N. (2010). Doctor-patient communication: a review. The Ochsner journal, 10(1), 38-43. Currently, 1 in 15 people living in the US have Low-English Proficiency (LEP) and it is predicted that this number will increase to 67 million by 2050. As detailed by the Title VI of the Civil Rights Act of 1964, federally funded health institutions must provide interpreter services for LEP patients; however, due to financial restrictions, this federal requirement is not always enforced. As a result of language barriers, LEP patients exhibit a lower return rate for follow-up visits, which can result in poorer health outcomes. As the number of LEP people living in the US increases, the need for medical interpreters and bilingual medical staff becomes more essential. Medical interpreters serve as mediators for LEP patients and doctors to allow for improved communication between the two parties. There are medical interpreters that work over the phone and others who work in the physical clinical settings. According to a systematic review of the literature, the presence of a medical interpreter has shown to improve patient engagement, reduce medical errors, and facilitate efficient communication. The benefits associated with the use of language services in clinics and hospitals include, but are not limited to, 1) increased quality of care, 2) improved patient safety outcomes and 3) lower utilization of costly medical procedures. Quality of care for LEP patients often is based on two factors: language and cultural values. With increased access to language services, many LEP patients are more likely to understand the significance of medical procedures and medications. A study by the University of California, San Francisco shows that there were differences between the rates of informed consent documentation of LEP and English-speaking patients. According to the article, such a discrepancy could be attributed to the lack of documentation of interpreter services during the consent process. As a result, LEP patients were less likely to contain consent forms in their charts than English-speaking patients, indicating a disparity in the implementation of informed consent for the LEP population. Another study conducted in 2007 showed that LEP patients who received no interpreter services were less likely to be aware of medical implications and were less satisfied overall about their medical care. With facilitated communication, patients will be more likely to be informed and able to make educated medical decisions. Increasing the quality of care for LEP patients also means taking into account cultural differences. Cultural values and principles may look very different for the provider and the patient. Figure 1 shows a list of the social, health and business benefits of providing culturally competent health care. By ensuring medical interpreters and providers are trained in cultural competency, the higher the likelihood that LEP patients will be able to understand and follow certain medical treatments. The National Standards for Culturally and Linguistically Appropriate Services (CLAS) in Health and Health Care were created by the Office of Minority Health in the US Department of Health and Human Services. CLAS provides a baseline for health institutions to strive for and aims to standardize the quality of care provided in health institutions. With these endeavors in mind, it is important to realize the significance of a patient’s personal values. By doing so, this allows for culturally-appropriate personalized medical care that encourages patient engagement. By implementing such cultural cooperation, the provider is able to deliver precise and preventive medical care that contains realistic outcomes for the patient. 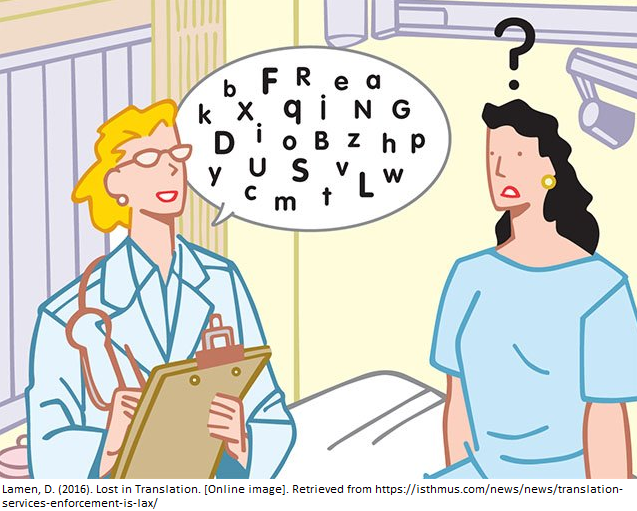 Patient safety can be improved for many LEP patients when there are sufficient language resources available. According to a study in 2007, 49.1% of LEP patients received some kind of physical harm as a result of a medical error. By documenting language disparities in hospital settings, the study shows that health institutions have the potential to improve LEP patient safety. 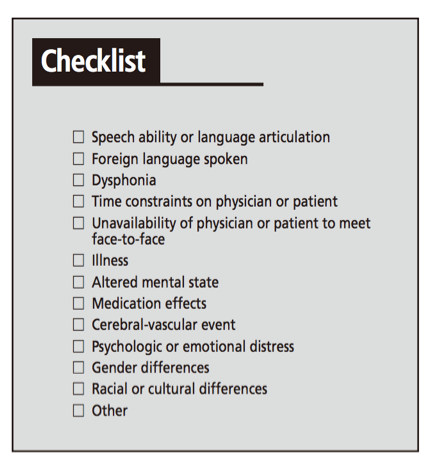 In addition to this documentation, increasing awareness of language resources among medical staff and patients can help to ensure interpreter services are being utilized. Many LEP patients do not realize they have a right to request a medical interpreter and as a result fail to use these services. Therefore, having informed health providers who understand how to utilize language services can help ensure more doctors and LEP patients will be better equipped to prevent safety risks and promote effective care. Even though it is not financially possible to have bilingual providers and medical interpreters in every language, there are cost-effective ways to meet the demand for these language services. A study conducted by UC Berkeley shows that by improving the efficiency of video conferences, call centers and an online presence, language services can increase the span of their services so that they can reach more people with an increased use of technology. The presence of a language barrier has been shown to be associated with higher rates of costly resource utilizations for diagnostic testing and increased emergency department visit times in a pediatric emergency department. When no interpreter services are available to overcome the language barrier between the patient and the health provider, medical staff must perform precautionary health measures to identify what the patient has without any context or patient history. By introducing medical interpreter services, there is evidence of reductions in emergency department visits and a decreased utilization of extraneous medical exams. 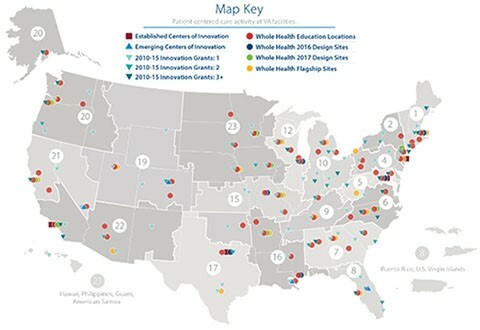 With a growing number of LEP people in the US, what does the future hold for LEP patients in the health care system? It is well understood by many providers the significance of being able to communicate effectively with patients; however, the issue lies with resources and funding of medical institutions. In an ideal world, medical interpreters would be widely available to interpret for a large population. Patients’ cultural values would be taken into account when helping to plan out their treatment options and health providers would ensure patients are properly informed on all aspects of their condition in their native language. However, due to financial restrictions, language services are not always available despite their proven benefits. As the health care system begins to become more personalized and preventive, it is important to push for the improvement of patient communication. By doing so, medical providers will be able to empower patients with medical knowledge that enables LEP patients to make realistic decisions on their health. As language barriers persist in the US health care system, policy makers and health care leaders must prioritize efforts to enable accurate and culturally-sensitive communication to improve quality of care, fortify patient safety and lower the utilization of medical procedures. Traditional Chinese Medicine (TCM) services, namely acupuncture, tai chi, and herbal medicine. Western health systems’ reluctance to embrace TCM has been rooted in historical biases and deferred efforts to establish an evidence base for promising TCM therapies. The authority of Evidence-based medicine (EBM) has thus challenged traditional institutions like TCM to demonstrate clinical effectiveness before being fully embraced in the West. This has led to a promising and expanding field of research into exploring a diverse range of clinical applications for different TCM modalities. One of the more notable researchers to bridge these cultural conventions, Tu Youyou, was awarded the 2015 Nobel Prize in Physiology or Medicine for her role in pioneering a new class of antimalarial drugs near the end of the Vietnam War. Tu’s team first introduced the scientific method and publication to Artemisia annua (qīnghāo青蒿), a type of wormwood known to TCM practitioners since the 4th Century as a robust treatment of malarial fever, and was lauded internationally for her proof of cross-system application for TCM. She and researchers like her have helped foster the gradual adoption of select TCM treatments by modern health systems and propelled greater scientific inquiry of its potential benefits. 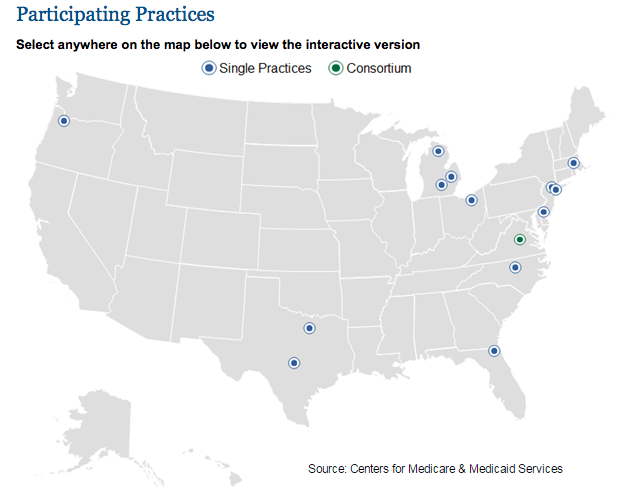 This map shows VA Whole Health designated facilities. Investigations into TCM’s ability to effectively manage chronic pain are of particular clinical relevance, though the exact analgesic mechanisms behind certain practices such as acupuncture remain a point of contention. Nevertheless, TCM services now occupy a rapidly growing space in holistic health assessment, preventive medicine, and disease treatment, particularly in populations experiencing chronic health outcomes. Active duty soldiers and Veteran populations have been among the most receptive to TCM interventions due to efforts to find low-risk CAM therapies to treat chronic pain. Chronic pain and subsequent opioid use as a treatment tool are significantly higher in soldiers than in the general population: 44 percent of recently returned active-duty American soldiers report chronic pain and 15.1 use some level of opioids for pain management. However, due to recent changes in opioid prescription standards, only half of these soldiers report the moderate to severe pain for which opioid prescription is now recommended. These changes reflect the heightened awareness of opioid abuse risk given the addictive nature of these medications. It is thus recommended that providers prescribe the lowest effective dose to reduce the risk of complications. In the absence of sufficient alternative therapies, some level of opioid use remains necessary for many Veterans given the higher prevalence of chronic pain in this population. When the risks outweigh the benefits of opioid therapy, it is necessary to pursue non-opioid and non-pharmacological alternatives. CAM therapies used as part of a holistic treatment plan, which also includes conventional medicine, may help mitigate overreliance on and potential abuse of high-dose opioid prescriptions while facilitating lower-risk pain-coping mechanisms. Acupuncture (zhāzhēn扎针) is being largely embraced by these populations as the pressing need to reduce opioid use drives the VA and Department of Defense to invest $81 million in CAM and non-drug therapies over six years. Additionally, the VA’s Whole Health System (Figure 2), which seeks to transform the VA Health System to a patient-centered care model that emphasizes wellness and prevention, has expanded the availability of complementary and integrative services. These services include traditional acupuncture for its reported success in treating chronic pain and PTSD as well as battlefield acupuncture, a modified version of the TCM practice that may offer more immediate pain relief. The expansion of these CAM offerings coincides with an intentional decrease in opioid prescription rates constituting a 50 percent change at several dozen VA facilities since 2012. Beyond TCM’s application to opioid management, TCM’s favoring of a holistic treatment of the body over specifically targeted medicines help fill in the diagnostic and treatment gaps left by conventional medicine. This is particularly true for diagnoses of exclusion, like fibromyalgia and IBS, for which we have limited understanding of the pathophysiology at the root of these conditions. Acupuncture and other TCM practices have yielded encouraging clinical results, including that the practice of Tai Chi (tàijíquán太极拳) has myriad benefits for patients of musculoskeletal pain, depression, and chronic heart failure. Patients with such chronic conditions may find greater validation in a holistic assessment of their health needs and greater relief for symptoms after exhausting conventional medicine options. TCM may also offer clinical researchers new practice patterns for diagnosis and treatment through pattern differentiation, the TCM practitioner’s procedure for making differential diagnoses and modifying diagnoses based on responsiveness to treatment. This methodology has been incorporated into studies as a promising tool to identify a subset of patients with Rheumatoid Arthritis (RA) who will be more responsive to biomedical therapy. As Western health systems continue to innovate ways to employ CAM therapies to provide more personalized, proactive, and patient-centered care, it is important to avoid appropriative behavior by not laying claim to the conception of the medical practices themselves. TCM, like other CAM therapies with non-Western origins, is an ancient institution that is uniquely organized around its home culture’s values and belief system. TCM’s growing clinical applications should instead expedite greater synthesis of global health practices in modern health systems. Western providers and patients alike may feel empowered to consider TCM practices and holistic principles as part of their comprehensive solicitation for better health outcomes. As the baby boomer generation continues to age, older individuals will accumulate myriad chronic diseases that impact their mobility and leave them homebound. Therefore, it will be important to devise innovative and cost-effective means for delivering care to homebound individuals. Home-based primary care is one method to bring primary care to patients who are unable to participate in traditional office-visits. While it is important to talk about these innovative care models in theory, the actual implementation of these models is key to understanding how home-based services can positively impact homebound patients. This post will outline two successful home-based care delivery programs: one at Mount Sinai Hospital in New York City and the Center for Medicare and Medicaid Services Independence at Home Project. The provision of primary care in the patient’s home utilizing an integrated health care team. Frequent communication amongst members on the health care team. This ensures the patient can remain in his or her home and maintain a high quality of life. After-hours availability of health care team members. Focus on reducing emergency department (ED) visits. This combination of services aims to integrate the patient into his or her care by bringing the primary care team to his or her home; in doing this, it is inherently personalized and patient-centered. Some evaluations of home-based systems have shown that participation in the program led to reductions in hospitalizations and emergency department visits. Such programs also provide caregivers with the support they need to care for ailing family members. Mount Sinai hospital in New York City has operated the Mount Sinai Visiting Doctor (MSVD) program since the late-1990s. This program sought to bring primary care services to homebound patients in Manhattan. The idea behind MSVD was that bringing primary care to those who cannot participate in traditional office visits could encourage patient participation in their care plan. Using a multidisciplinary team, MSVD has been able to coordinate patient care and increase positive outcomes for patients who participate in the program. Evaluations of the program have indicated that MSVD has higher rates of vaccinations compared to ambulatory and nursing home populations, 80% for the influenza vaccine and 74% for the pneumococcal vaccine. They were also able to decrease the burden on individuals taking care of homebound loved ones. While MSVD has yielded these outcomes, its budget relies largely on hospital and philanthropic funds. Regardless of funding, it is an example of the impact that home-based primary care can have for individuals who are homebound. In 2011, the Center for Medicare and Medicaid (CMS) announced the Independence at Home Project. This three-year project selected 15 practices to deliver home-based primary care tailored to the patient’s needs and to coordinate the patient’s care. Year two findings, released in January 2017, indicated that this model may be an effective means of delivering primary care services to chronically-ill-homebound patients. A press release by CMS announced that the Independence at Home Project was able to save the Medicare program more than $10 million ($1,010 per beneficiary). It also delivered quality care to these patients. This ongoing project provides health care providers with an innovative, cost-effective approach to implementing patient-centered care. Ultimately the MSVD and the Independence at Home Project show that home-based care can be cost-effective and increase patients’ involvement in their care. These implementation experiences provide health care professionals with a foundation to begin utilizing home-based health care for patients who have multiple chronic disorders or other debilitations. With proof-of-concept complete, home-based care could be a setting for the implementation of patient-centered care models or interventions, such as Personalized Health Planning. Each year in the United States, there are 130.4 million visits to the emergency department. These visits, especially nonemergency visits, are costly not only to the patient, but also to the health system. The average cost of an ER visit is $1,233, approximately 40% higher than the average monthly rent in America, which is $871. Approximately 65% of all ER visits do not warrant a visit to the ER. Our current ER system fails to reduce reoccurring, nonemergency ER visits that could otherwise be addressed in a primary care setting. In addition, the current fee-for-service model does not incentivize health systems to prevent unnecessary visits. In the ER, our disease-focused model of care encourages providers to focus on the patient’s chief complaint, often neglecting other critical aspects of a patient’s case that may have led them to the ER. Many ideas have been proposed to reduce nonemergency visits, including increased cost sharing to reduce the cost of preventive primary care visits. In addition, strategies should be devised to address the problem when it occurs, in the ER. Shifting towards personalization of care could reduce the burden of nonemergency ER visits by 1) using personalized medicine to reduce adverse drug events associated with chronic disease medications and 2) preventing reoccurrence of nonemergency ER visits by implementing personalized health care to develop personalized, coordinated health plans. The most frequent reasons for seeking ER services are often avoidable and tend to be the result of chronic disease complications. Patients with chronic diseases like asthma, diabetes, chronic heart failure (CHF) and chronic pain, may experience adverse drug events (ADEs). Approximately $3.5 billion are spent yearly on the costs associated with ADEs, which account for at least 700,000 annual ER visits within the Medicare patient population. 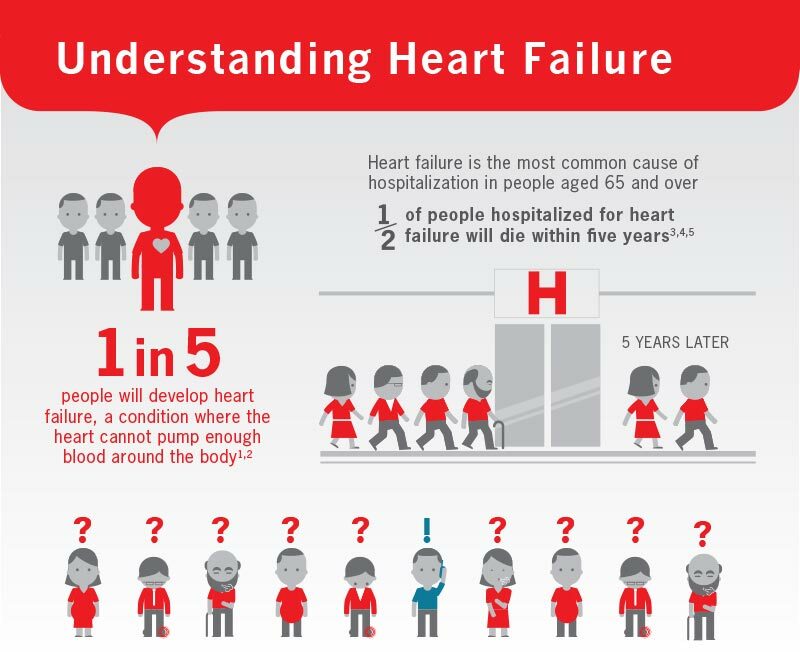 This could be a result of mismanaged care, low health literacy, or lack of patient engagement. Since sequencing the human genome in 2003, personalized medicine technology allows us to identify a patient’s genetic risk to certain medications using pharmacogenomics, preventing a physician from prescribing ineffective or adverse reaction-inducing medications. This information would allow for more accurate decisions on which medications and dosages will be most effective for the patient. To better address ADEs in the ER, the electronic medical record could be designed with built in clinical reminders for when an ADE could be triggered this is especially important in the busy ER setting. To prevent the reoccurrence of nonemergency visits, a clinical workflow called Personalized Health Planning (PHP) could be used in the ER. PHP is a clinical workflow for developing a personalized health plan for the patient, centered on personalized, proactive, patient-centered care. PHP could be implemented using a dedicated PHP team, consisting of a physician or physician assistant, a nurse or nurse assistant, and/or social workers. The electronic medical record (EMR) could allow ER providers to refer high frequency patients (those with ≥ 3 annual ER visits) to the PHP team. The PHP team would then meet with the patient to begin managing the patient’s case and creating a personalized health plan with the patient. The EMR would enable the PHP team to monitor various aspects of the patient’s engagement, such as whether prescriptions have been filled and other medical visits have been made. The EMR would also allow PHP team providers to make referrals to the patient’s primary care provider. In following the PHP workflow, the social worker or nurse’s aid would guide the patient in completing a personalized health inventory (PHI) to assess patient preferences and health goals. The provider would then assess the patient’s health risks and, with the patient, set shared goals that would engage the patient in considering how they could avoid the ER in the future. An important aspect of PHP in the ER is educating the patient to triage their own symptoms; it will be essential that patients know how to identify and categorize their symptoms as emergent or nonemergent. By the end of the consult, the PHP team would create a personalized health plan in the EMR for the PCP to see. Case management of nonnemergent ER users by the PHP team would be the first steps in coordinating the patient’s care, setting shared goals, and connecting them with their PCP for follow-up on their personalized health plan. Initiating PHP in the ER would be effective because it engages the patient in the process at the time of their ER visit, before their memory of the incident wanes of they are lost to follow-up. The first East Coast Precision Medicine World Conference, the 12th PMWC, will be hosted at Duke University on May 24-25. The conference is co-chaired by Dr. Ralph Snyderman, Chancellor Emeritus, Duke University, and Dr. Geoff Ginsburg, Director of the Duke Center for Applied Genomics & Precision Medicine. The main focus of the conference is “translating the power of precision technologies into better health care.” Click here for a note from the conference co-chairs. The conference will center around topics related to data science to advance precision medicine, the importance of patient engagement, the impact of technology to drive genomics and medical practice, updates on data and regulatory policies, metabolomics in precision medicine, the emergence of single cell genomics, monitoring infectious disease, an update on the PMI, mobile health and how it is changing healthcare, liquid biopsy, the microbiome, and much more – for more information see the developing themes. Major speakers for the conference include Robert M. Califf, Francis S. Collins, Mark Levin, Chris Cournoyer, Kathy Giusti, Richard Klausner, Keith R. Yamamoto, and Janet Woodcock. There is still time to register, so we hope to see you at PMWC DUKE in May!